It's been six long years since Bowers & Wilkins has updated its 800 Series of high-end speakers, which just shows how much the company rates its audio technology to withstand the rigours of what is a fast-paced industry tech-wise. 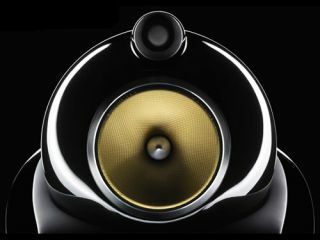 But 2010 is here and British AV manufacturer has decided now is the time to unleash the 800 Series Diamond to the audio elite. Boasting an enhanced Diamond Dome Tweeter – this increases efficiency and improves the dynamic range – and bass has been given a quad-magnet design which reduces distortion and the like. As with all B&W kit, the tech inside is proprietary, with the 800 Series Diamond housing Kevlar FST mid-range drivers, Nautilus tube-loaded tweeters, Matrix enclosures and the unique sphere / tube heads. Yes, this means that the mid ranges are bullet-proof. Available in Rosenut, Cherrywood, and Piano Black, these premium speakers have prices starting from £3,750 per pair. If you want the all-consuming version, then you will be looking to spend £18,500 per pair. Ouch. Go to www.bowers-wilkins.co.uk for more details.